Despite the health, environmental and social benefits of cycling, efforts to boost the number of people travelling by bike have hit a plateau. 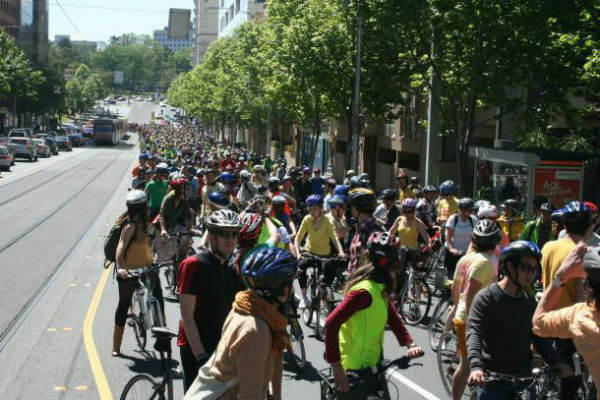 Recent data show no significant change in cycling participation across Australia between 2011 and 2015, and it now seems clear that the National Cycling Strategy goal of doubling cycling between 2010 and 2016 will fall short. Cycling accounts for 1% of daily trips in Australia, and the main barrier to greater uptake seems to be the widespread concern about safety, particularly fears of sharing the road with motor vehicles and a lack of appropriate infrastructure. To an extent, the numbers bear this out. Although my research shows that cyclist deaths have decreased steadily over the past two decades, cyclist hospitalisations rose from 3,676 in 2005 to 5,527 in 2013, while bicycle riders as a proportion of all road hospitalisations rose from 13% to 16%. In the Sydney metropolitan area, 30% of road trauma presentations to emergency departments are due to cycling injuries. It seems, then, that a good way to make cycling more popular is to make it safer. A crucial first step is to recognise bicycle riders as legitimate road users, with an accompanying right to ride safely on roads. While very important, better cycling infrastructure cannot on its own improve safety, because many bicycle riders will still have to share the road with motorists. Australian Road Rules recognise the bicycle as a vehicle and bicycle riders as legitimate road users with the same rights and responsibilities as others. However, cyclists often feel harassed, intimidated and left fearing for their life simply for riding on roads. A case in point is the right of cyclists to “take the lane” instead of keeping all the way to the left, where they are often at the mercy of close-range overtaking, debris and drains, or at risk of being “doored” by a stationary vehicle. Yet when bicycle riders take the lane to improve their safety, they are often accused of being selfish or arrogant, or of putting themselves in harm’s way. When I was asked by a passenger in a passing car if I had a “death wish” for taking up the left lane I felt like screaming out “I don’t have a death wish; what I have is an equal right to reach my destination safely”. Many motorists are simply not aware of the rights of bicycle riders and the challenges they face in navigating a road system designed primarily for motor vehicles. This underpins the widespread belief that bicycle riders are “rogue” road users who continually break road rules. If drivers are aggressive I am more likely to try and get out of their way (to the footpath) or try to get ahead of them at lights so I am not under pressure and they don’t try to pass me dangerously. And let’s not forget that motorists and other road users also break the law – in fact, motorists are more likely to do so when it comes to conflict with cyclists. A Victorian study that examined camera footage of incidents involving cyclists and other road users found that the driver was responsible for the action that preceded the event in 87% of cases. In 74% of those events, the driver cut the cyclist off without providing enough space, indicating effectively, or performing a shoulder check. A Queensland survey found that 88% of cyclists – and, perhaps surprisingly, 60% of drivers – agreed that “drivers do not look for cyclists”. Tackling ignorance and confusion about cycling will be crucial to improving the situation. 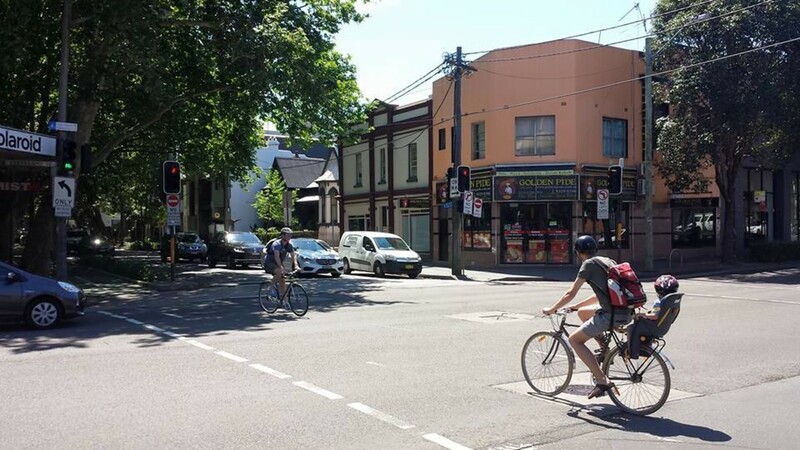 As part of this year’s review of bicycle laws in Victoria, a survey of 10,444 Victorian residents revealed misunderstanding around many of these laws. The review identified the need to improve awareness of 20 separate rules, and recommended that seven of them should be amended to make them clearer. Put more emphasis on driver-cyclist interactions as part of the training to obtain a driver’s licence. Use new evidence on cycling safety to inform a review, with a view to updating cycling laws nationally, not just state-by-state. Run national public information campaigns, similar to Lake Macquarie City Council’s Life Cycle strategy, to promote the rights of bicycle riders as “one of us” and cycling as a legitimate form of transport. Introduce presumed liability legislation, similar to that implemented in Europe and proposed in the US and the UK, which puts the onus on drivers to prove that a collision with a cyclist or pedestrian was not their fault. Standing up for your rights as a cyclist riding on roads dominated by motor vehicles can be daunting and dangerous. There is a need to change the culture, through legislation, education and training, so that all users can safely and responsibly share the road. Soufiane Boufous is a Research Fellow for Road Safety and Injury Prevention at UNSW Australia. This article was originally published on The Conversation. Read the original article.